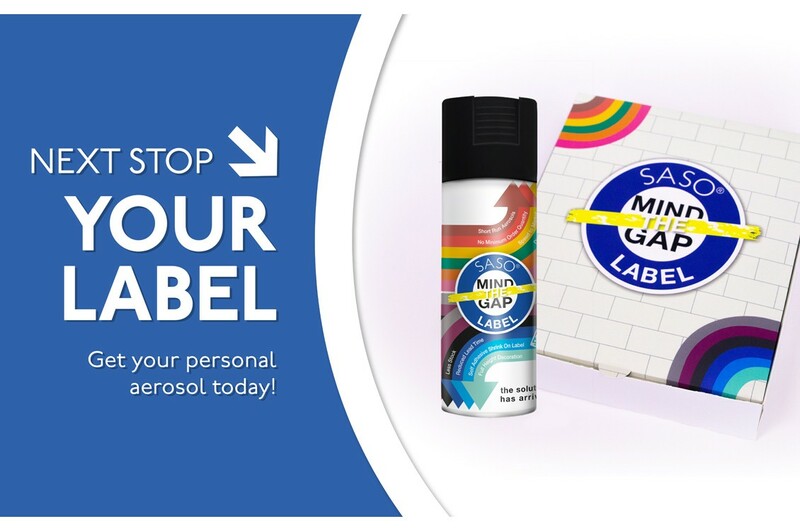 SASO®, our revolutionary shrink-on self-adhesive label has the power to transform how manufacturers decorate aerosol cans. Developed entirely by our innovation team here at Springfield Solutions, we knew there had to be a better, more efficient way to decorate cans than traditional printing methods. And we knew that solution was digital. How right we were! After many hours of research and experimentation, SASO® was born. An entirely digital solution that provides full height, 360º coverage of aerosol cans and other cylindrical containers, including seamlessly moulding around the top and bottom of the cans where they taper in. 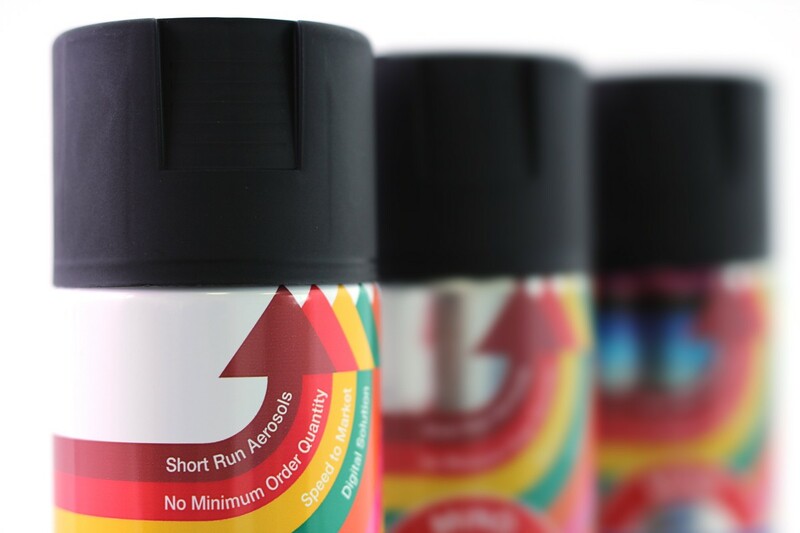 If you are in the aerosol industry and would like to find out more about the cost savings and fast speed to market SASO® can help to achieve check out the link below. Find out more about our revolutionary SASO® label! Now we’ve gone one big step further. Employing similar levels of dedication and innovation as we did during the development of SASO®, we have now introduced the digital label solution to a range of new sizes. The product has now been tested across almost every conceivable size of aerosol can a manufacturer would need. The spec list includes 140/150ml, 200ml, 325ml, 400ml, 500ml, 600ml, and 750ml. And, working closely with a client, there is no reason we can’t bespoke a label of any dimension in line with the client’s needs. This innovation means many more aerosol manufacturers can begin to take advantage of digital printing and all the benefits that it brings. Benefits like the ability to order and pay for precisely the number of labels you need because, with digital, there are no Minimum Order Quantities (MOQs). Or the more efficient press set up times due to the lack of need for printing plates. The fact that labels can be reordered at the click of a mouse so reorders don’t spend days sitting in a queue. Or that they can be delivered more quickly than labels that utilise Litho or Flexo printing methods. It means that SASO® can now be used to decorate a full range of products with cans in different sizes and cans that were previously the wrong size to be used with SASO® no longer are. Ultimately, SASO® hands control from the printer back to the manufacturer, enabling them to have better control over costs, lead times, reordering, wastage, warehousing and stock control. Along with the new sizes of label, Springfield has worked closely with a manufacturer to develop a SASO® applicator capable of finishing cans in all sizes. The applicator can sit inline with a company’s manufacturing process or be offline, so the cans can be decorated at a later stage. 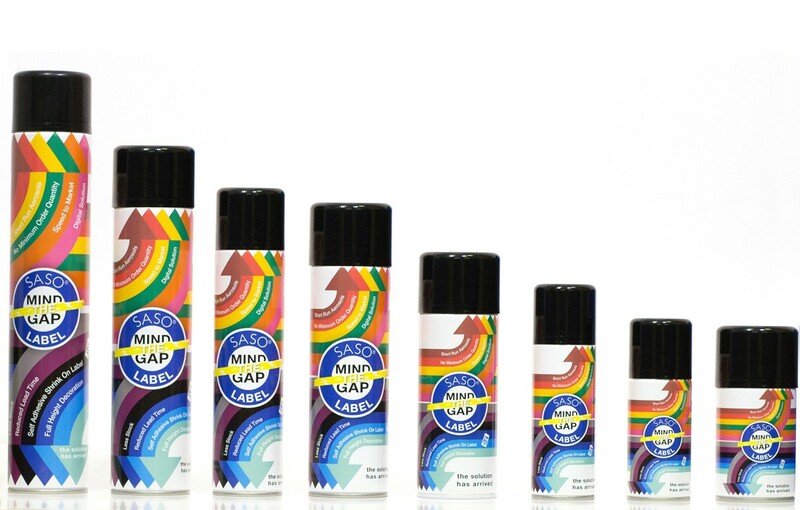 With the addition of the new sizes, SASO® is now the leading solution for aerosol can decoration on the market. To find out how it can help streamline your business, get in touch by emailing saso@springfieldsolutions.co.uk or call 01482 484747.